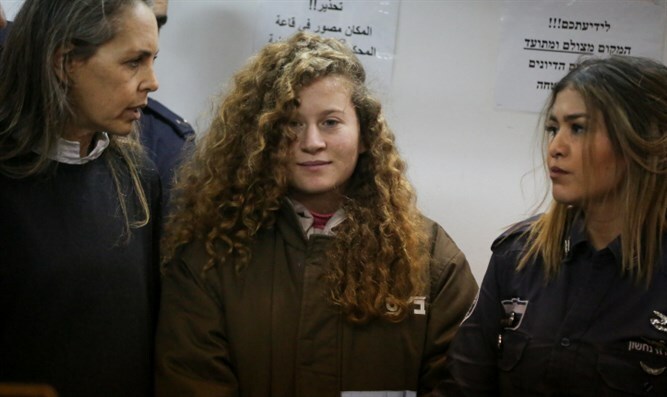 MainAll NewsRadioHow soon until Ahed Tamimi goes back to jail? How soon until Ahed Tamimi goes back to jail? Ahed Tamimi, the 18-year-old Arab girl who spent eight months in jail for kicking and slapping an IDF solider was released, and received a rockstar’s welcome from PA head Mahmoud Abbas. For epitomizing PA propaganda, she immediately returned to her old ways – inciting to violence against Israel.